For the processing of blood plasma, Ruland planned, constructed and installed four new product lines including the control for the Biotest AG, the specialist for haematology and clinical immunology. For the investment programme “Biotest Next Level” the Biotest AG commissioned the specialist for plants with the detailed planning and the construction of the hearts of the extension, the four product lines for the new IgM Concentrate and for polyvalent immunoglobulin G. This includes a primary product plant for both products as well as three intermediate product plants. Blood plasma is a very precious liquid as it builds the basis for live-saving medicines. According to the WHO, 14 million litres a year are processed worldwide – with rising demand. Biotest alone processes around one million litres a year. 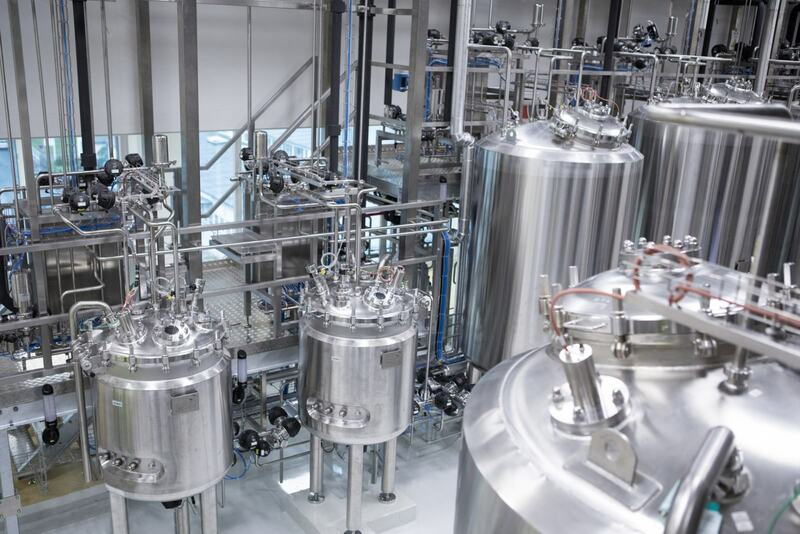 The producer of products out of plasma proteins as immunglobins, clotting factors and albumins raised its production capacity to 2,5 million liters with a new production builing with its own energy center. Thanks to their investment project “Biotest Next Level” of 250 Million Euros, they createe 300 additional employements. As usual, the requirements at the large scale project of Biotest AG were very high, because for process systems that process blood plasma, the highest regulations regarding quality, safety and hygiene apply. To guarantee a maximum of product safety, it was necessary to strictly separate the individual plant sections. In addition, there were different clean room levels. Right from the beginning, Ruland took a certain degree of flexibility for future extensions or changes into account. 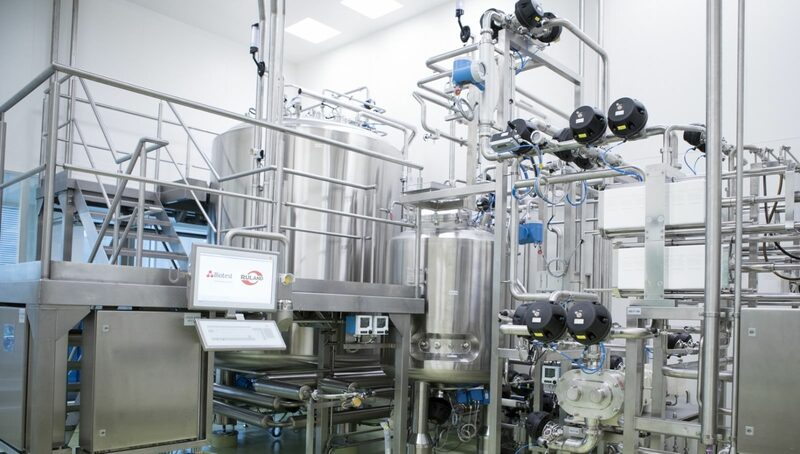 The primary process plant, first transfers the blood plasma paste into a suspension and then processes the product via several filtration steps into a protein solution. This step is followed by an inactivation of viruses. Only then, the solution reaches the intermediate product plant and is split into the two main fractions IgG and IgM via chromatography. Thereafter, the two fractions run at different lines through more filtration steps like ultra-, dia- and nano filtration as well as chromatography and UVC-treatment. The central tank farm provides the lines with the necessary buffer solution. Several CIP systems take over the cleaning of the plant. Ruland fully integrated package units like filter press, UF-filter holder as well as the UVC system provided by Biotest. Ruland took over the process engineering including the specification of soft- and hardware, programming and visualisation as well as the mechanical, electrical and pharmaceutical installation, the design of the control cabinet and the controlling inclusive the integration to the SAP system. The qualifications regarding design, installation and function according to the European GMP guidelines, the factory acceptance tests, the initial calibration of all measuring points as well as the commissioning and the detailed documentation are also part of the service. At the beginning of the project, Ruland had to start with the detail engineering, oriented at the basic engineering, the customers’ specification sheet, the batch schedule as well as the flow chart for pipes and instruments. Basically it is the customer, who is specialised on the processes. That makes a close cooperation, right from the beginning of the planning phase, even more important. The team from Ruland designed, checked and detailed the system. They checked the configuration of all components and created simulations that display all processes. Each individual component including all pipes, valves, motors and interfaces are schematically displayed by an exact visualisation. Various plant manufacturers were involved at the project “Biotest Next Level”. The communication via the general planner played an important role, because finally all plant components have to fit perfectly, work smoothly and also “communicate” with one another. The sheer size of the project was a challenge itself. 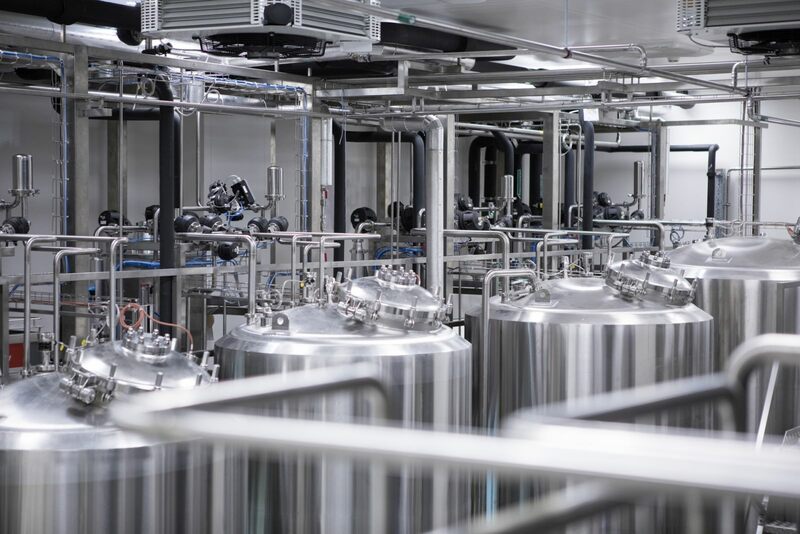 With around 3,500 components, amongst them 2,300 automatised valves and 1,800 measuring- and controlling components, 100 pumps and agitators as well as more than 40 tanks, the project calls for a big team – at peak times 35 technicians and engineers from Ruland worked at Biotest. For the consistent automation of the four independent plants more than 30 load cabinets as well as more than 90 decentralised control cabinets for the connection of the valve terminal and field signals to the eight controls from Siemens were installed. 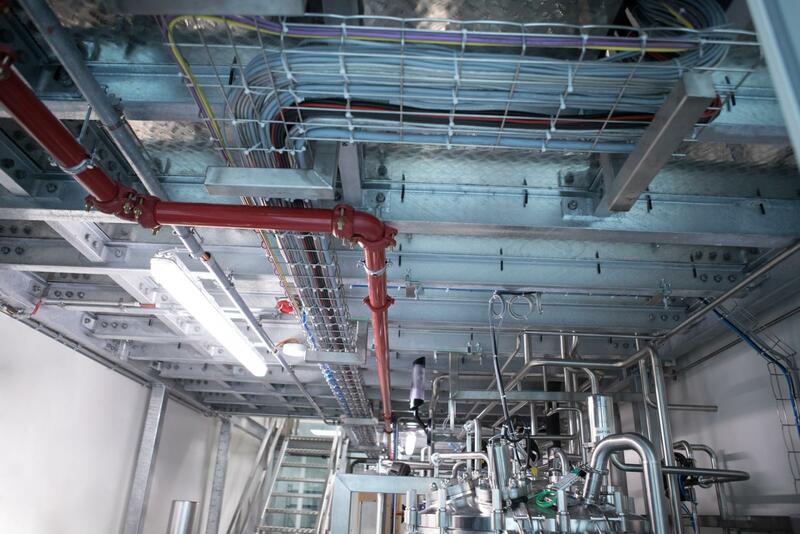 The piping also impresses: nearly 9 km process leading pipes and media supply lines were laid, made out of various stainless steels at pharma-performance and partly out of high corrosion- resistant Hastelloy 22 or PVDF plastic lines. The 39,000 welds were documented in compliance with pharmaceutical standards. The controlling and the integration to SAP are also highly complex. It is possible to watch and control all processes from two central control rooms. At the production- and technic rooms all in all 26 Panel PC’s, that have access to 16 servers, are available for the on-site operation. Personalised RFID-chips are taking care of the safety: To practically exclude unauthorized access, each user has to authenticate himself. In the course of the investment programme Biotest implemented SAP as central platform for the production. 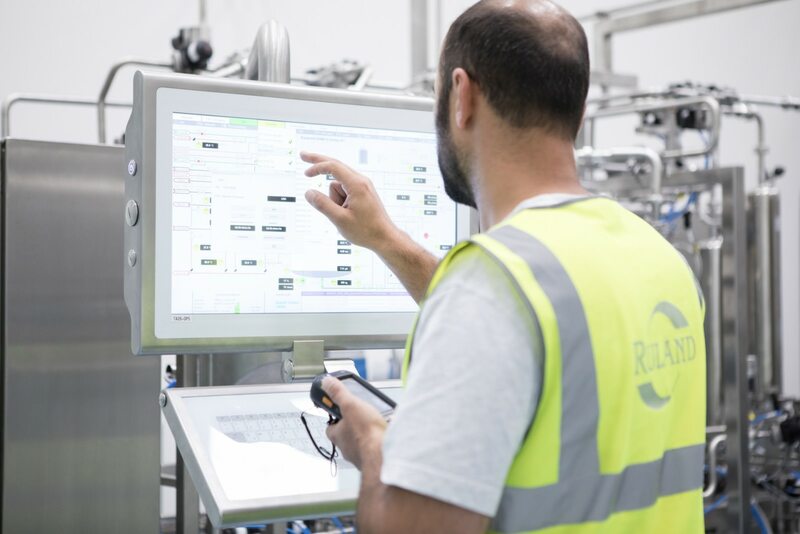 For a superordinate process control and data recording, it was necessary to link the process control system of the plant section with SAP via a standardised interface. SAP defines all processes that can be performed in the course of the production. Each process has to be checked and approved via handheld. Via a bidirectional data exchange it is possible that on the one hand process data is getting evaluated and filed and on the other hand information can directly flow into the fabrication process. Recorded are amongst others process orders, batch protocols and material flows. The system also sets maintenance- and calibration intervals and checks and manages the authorisations of the employees. Redundant server architecture was necessary to ensure a maximal availability of the server systems. In this case, Ruland applied Stratus server with system integrated redundancy. “At such a complex project, it is indispensable, that all parties involved work closely. Especially, if various supplier realise large-scale subprojects, a good communication as well as the disclosure of information is very important”, Michael Rodemer, Director Technical Project Management, Biotest AG. “From previous projects we knew, that the engineers from Ruland not only do a perfect job, but also work hand in hand and in a solution-oriented way with other companies.” Indeed, Ruland developed several technical concepts and detail solutions for this project that were used as template for implementation from other supplier for further sections like the innovative cleaning concept – that plays an important role for the product quality and -safety at the production of pharmaceutical blood plasma products. Since its inception, Ruland is a partner of Biotest AG and realised amongst others production facilities at clean rooms, including the corresponding cleaning equipment. Do you produce highly sensitive products? Please talk to us about your demands for the system technology and the process. We take over the engineering and deliver the process technology.